et macula originalis non es in te. and the stain of original sin is not in you. You are the glory of Jerusalem. Oh Mary, the same words that were addressed to Judith (Jdt 15:8-10) are now addressed to you. This is with good reason! Your openness to God enabled you to open the doors of your womb to the Saviour and so you are the glory of the human race. Mary, oh mystical rose of purity, we rejoice in you. You gloriously triumphed over the devil as you were conceived without original sin. We thank and praise the Most Holy Trinity, with all our hearts, for granting you this privilege. We pray to obtain your intercession for the strength to overcome every snare of the devil and to avoid every stain of sin on our souls. With your help and protection, may we triumph over the enemy and earn our eternal salvation. Hail Mary. 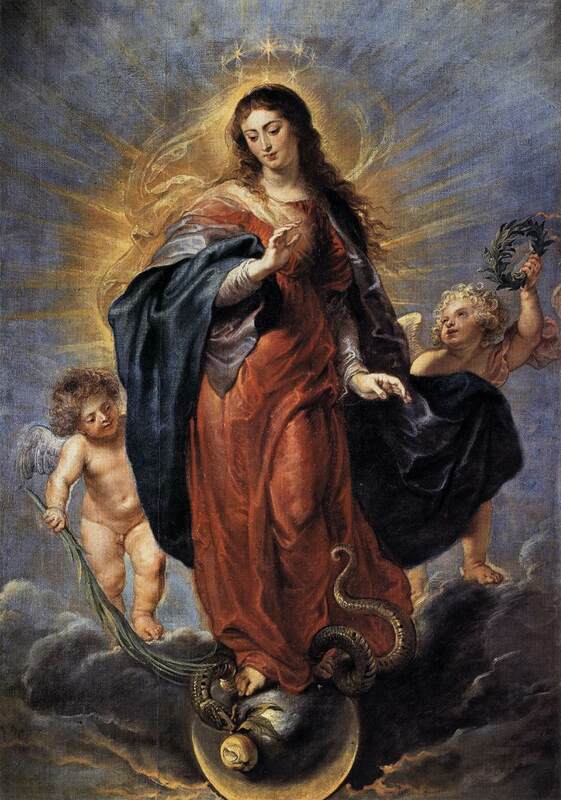 Lord God you prepared a worthy dwelling place for your Son by the Immaculate Conception of the Virgin; grant, we pray, that as you preserved her from all stain of sin in your foreknowledge of His death, so we, by her intercession, may come to you with pure hearts. We ask this through Christ our Lord. Amen.